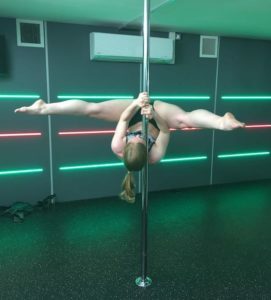 Pole dancing lessons in London are a fantastic way of improving your core strength and overall fitness whilst having fun and making new friends. In the heart of this city we provide an escape from the hustle and bustle, a rare chance to focus on yourself, your body and your health. We know that you are busy, and so our classes run most days at different times to suit you. Our pole dancing classes are held at central London locations close to London Bridge Station. We have pole dance classes at London Bridge Hotel Fitness First which is just 30 seconds from the tube, at the base of the Shard. You do not need to be a member of this gym to attend, with the option to drop in or buy a course of five classes. At the weekends we move to our venue at Fit4less in Southwark which is close to Waterloo and Elephant and Castle stations. 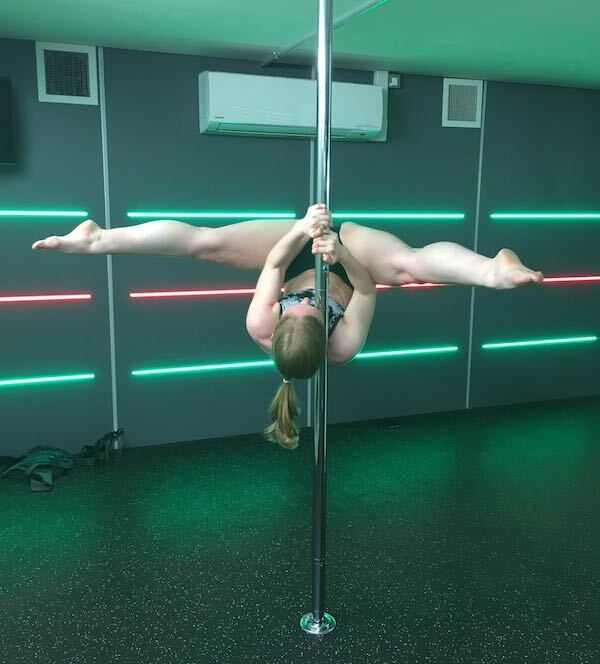 This pole dance venue created by us is a perfect venue for traditional pole dance lessons, spinning pole dance, beginners pole dance lessons and pole fitness / conditioning. It has great lights and sound system making it a perfect space for working on new pole dance routines. Our pole dance classes are small numbers to allow for lots of 1 2 1 tuition with your pole dance instructor. You will work in pairs on the poles and learn to coach each other during your training so feel free to come with friends, or make some new ones at the class. The atmosphere is super-friendly, and you can even ask to train to your favourite song. To book your pole dance class with us you can sign up through our online booking system here. If for whatever reason you cannot make a class you can reschedule where 48 hours notice is given. It really does not matter what your level of fitness is or whether you have any dancing experience, this school is for anyone who whats to give Pole Sport a go.